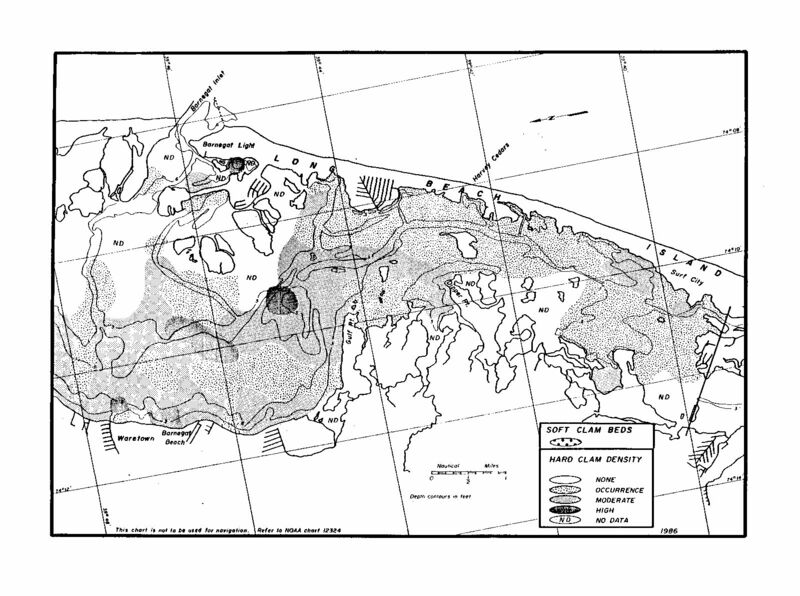 The below detailed shellfish distribution maps depict areas that have a current shellfish density equal to or greater than 0.20 shellfish per square foot, or have a history of natural shellfish production. 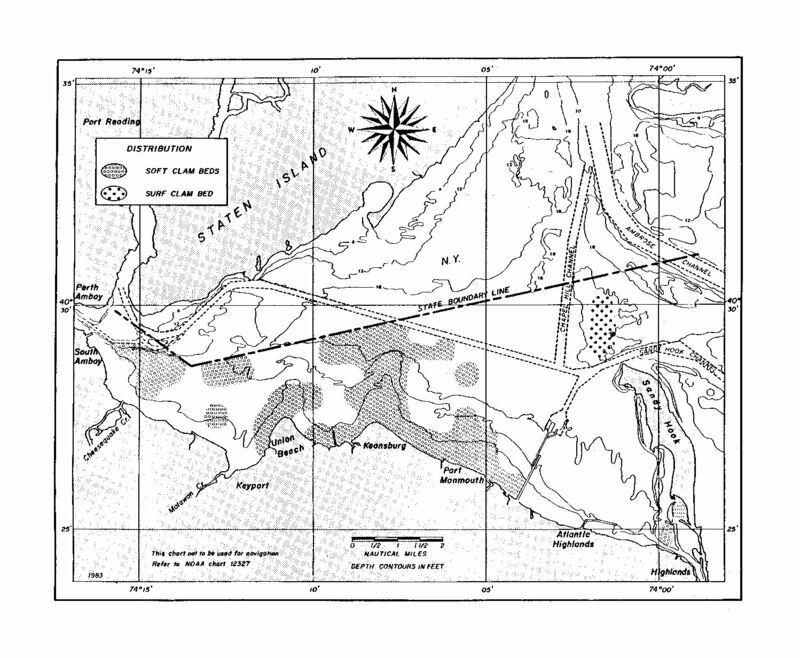 For a complete review of a particular site, all maps within the time series for that area should be consulted. 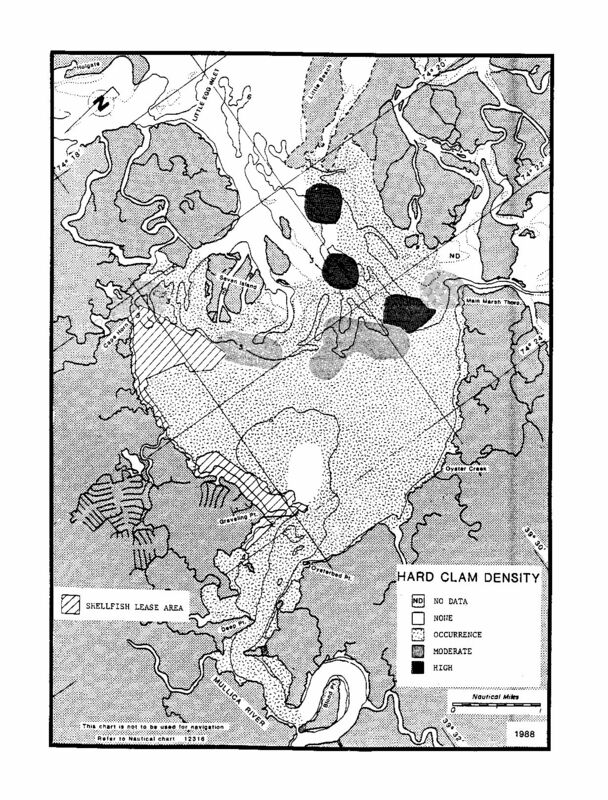 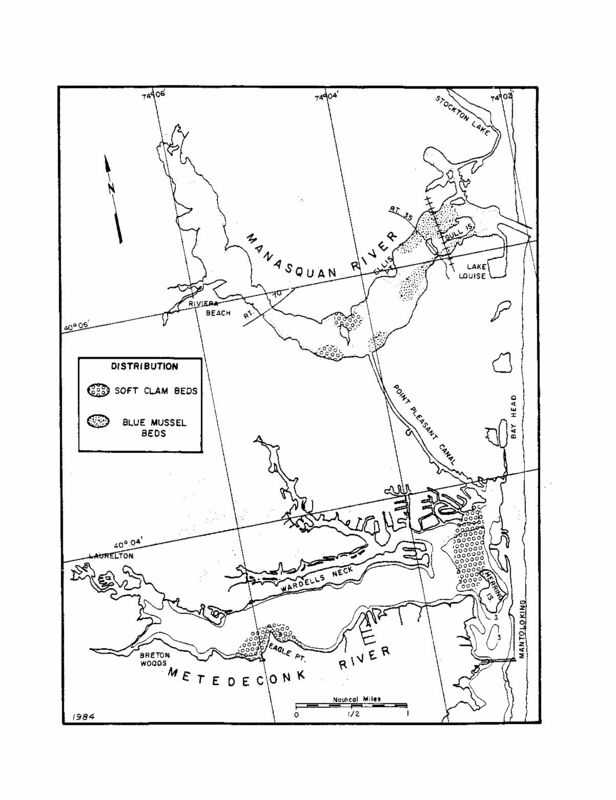 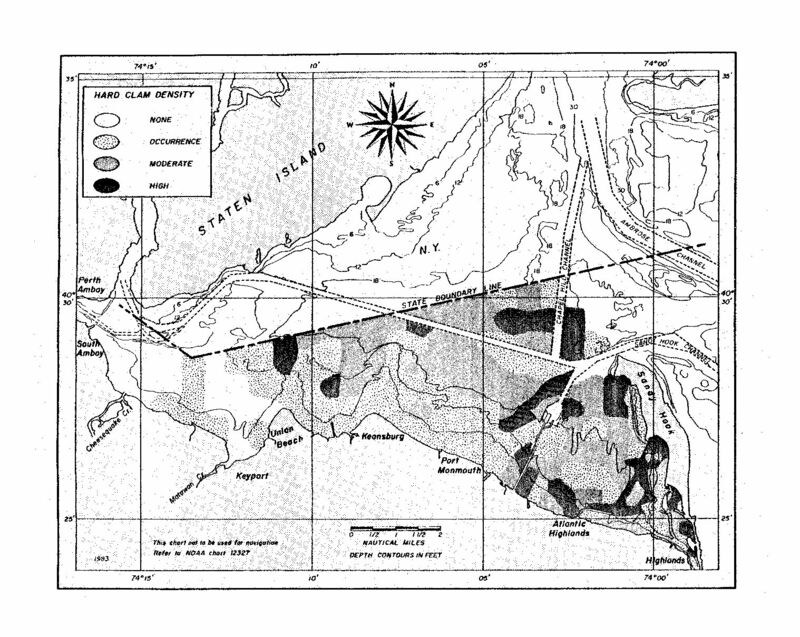 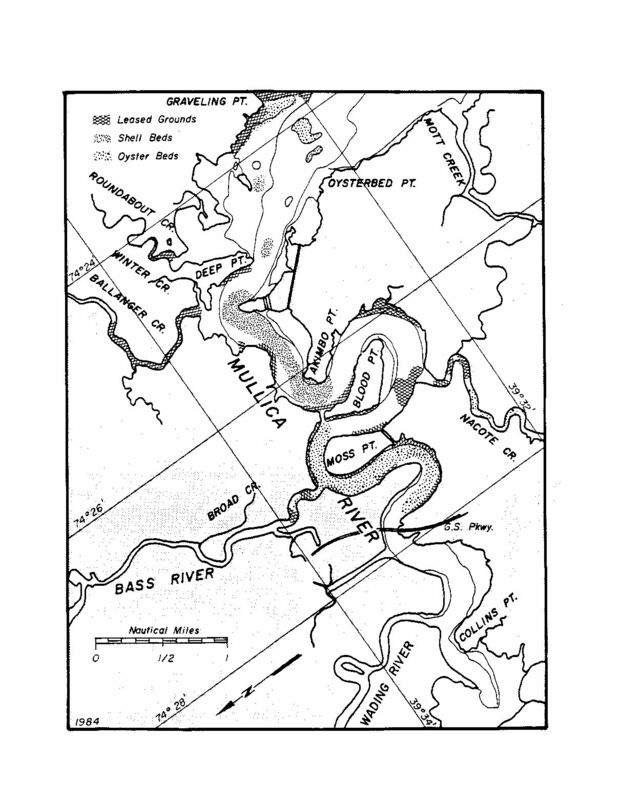 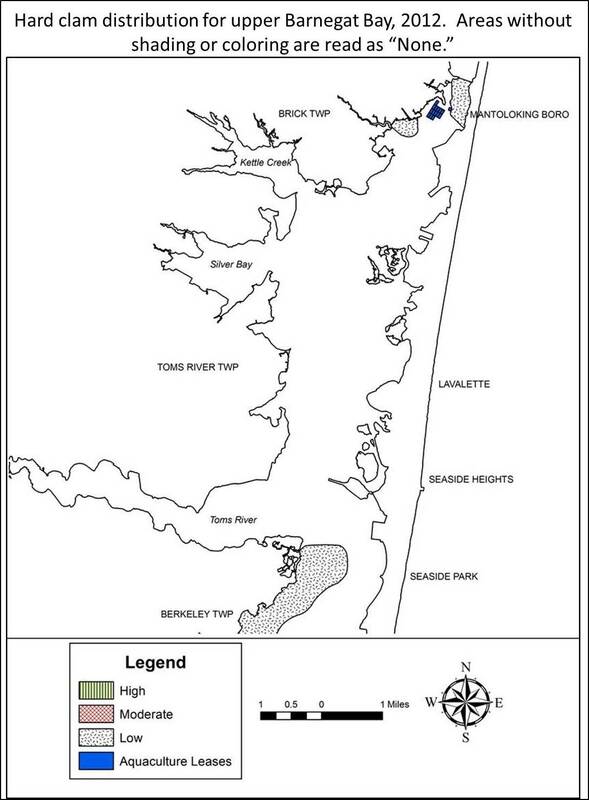 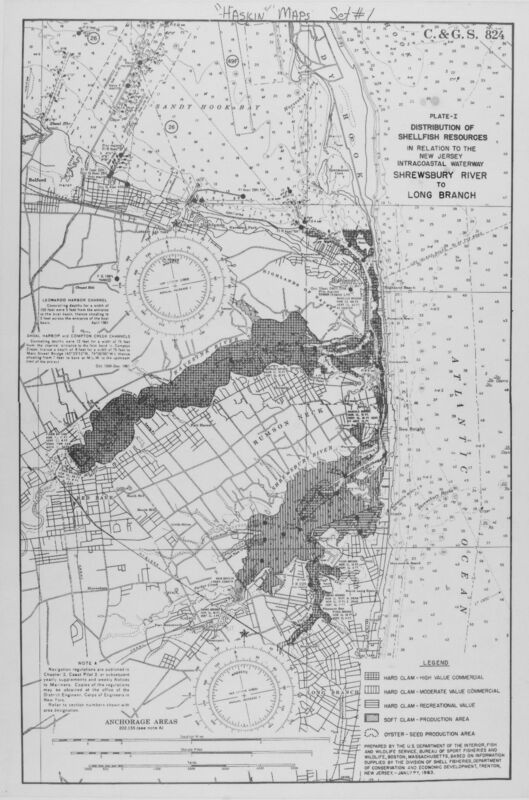 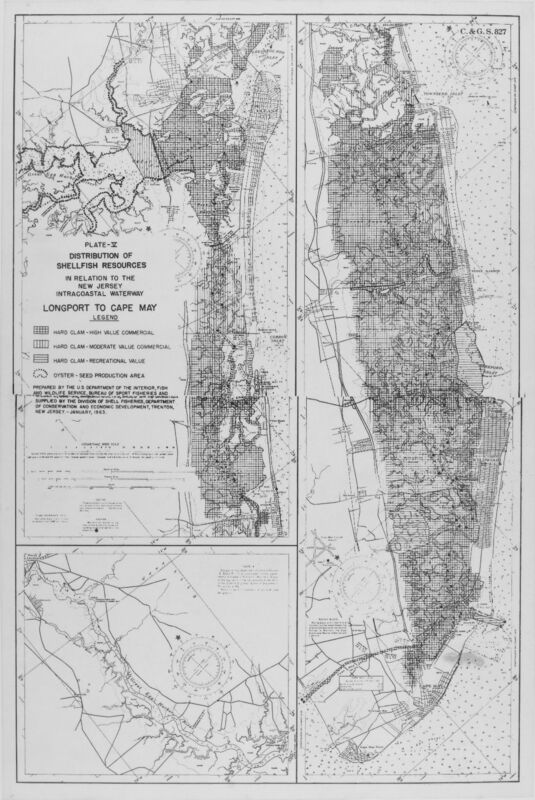 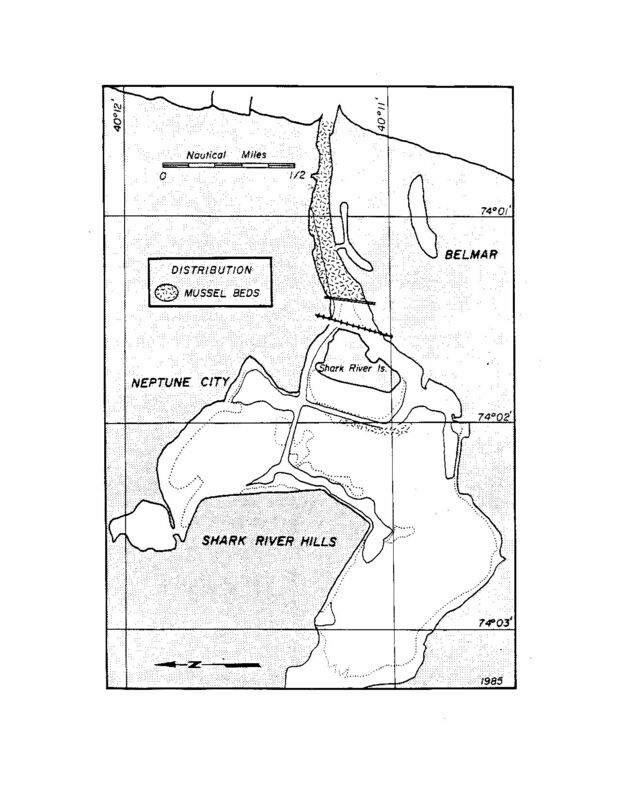 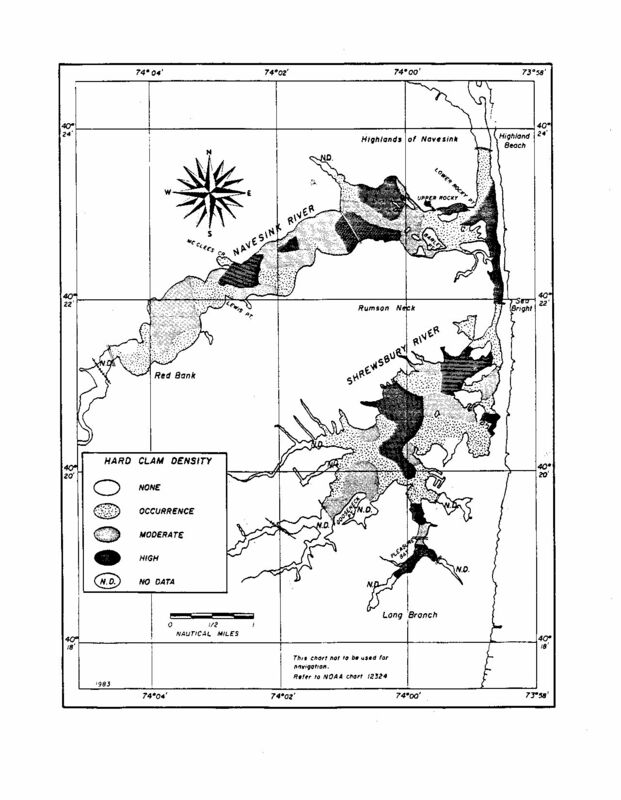 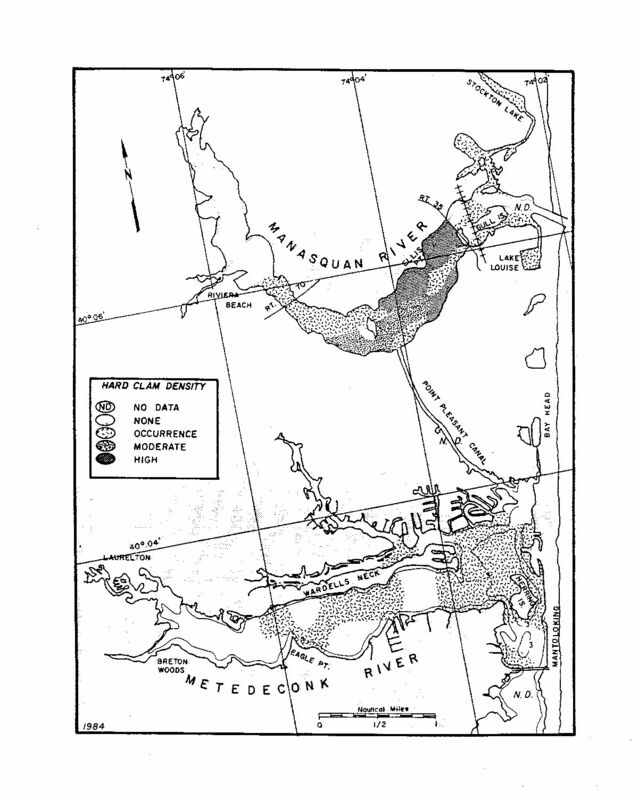 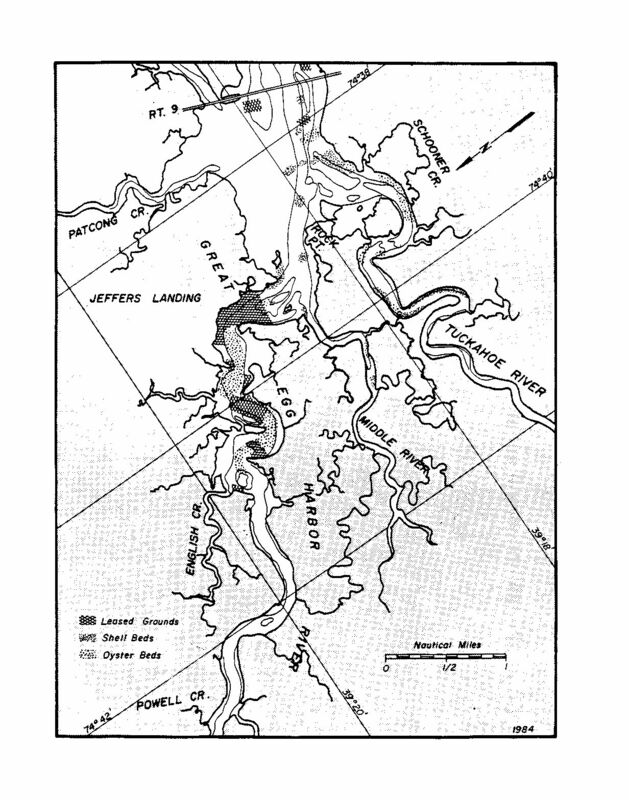 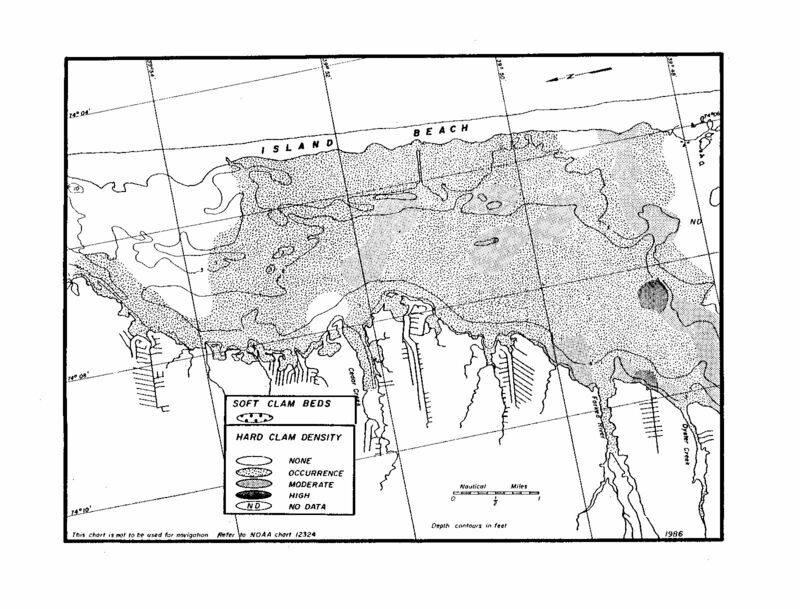 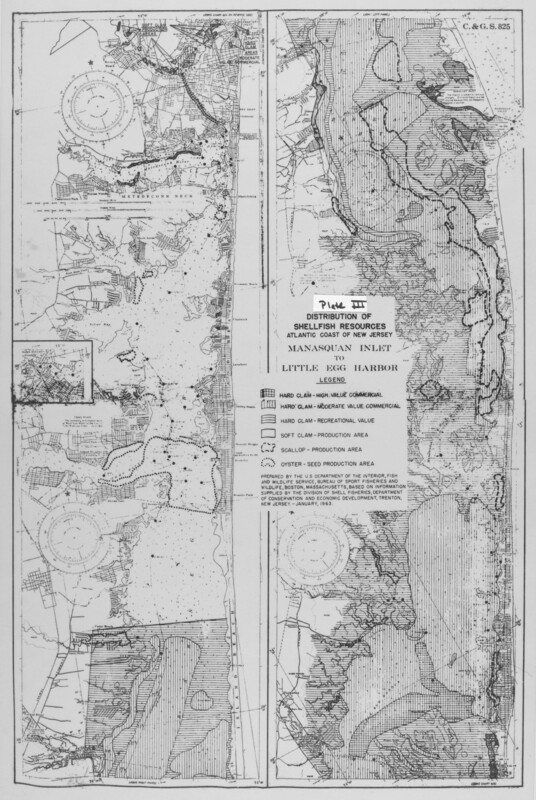 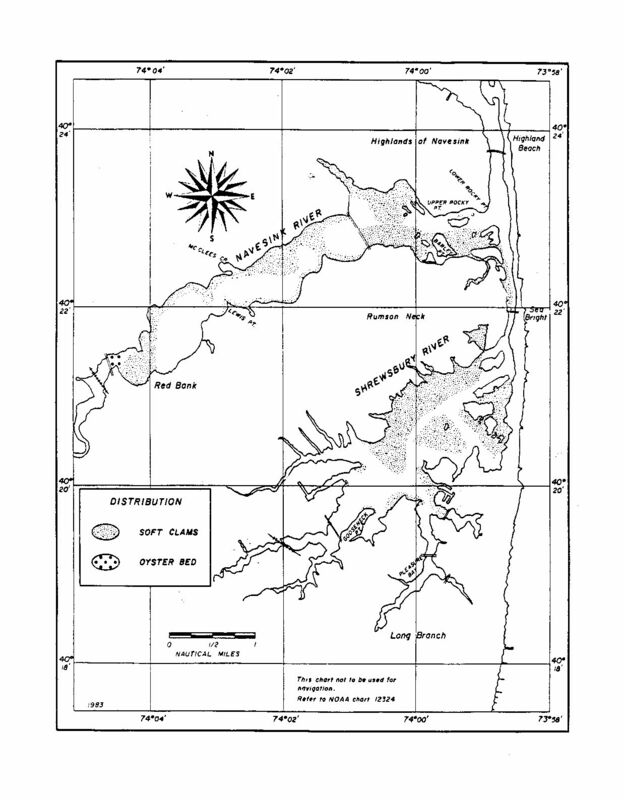 For example, if a map from 1983 shows the area in question as having a “moderate density” of hard clams, while a newer map shows “low density”, the property is still considered shellfish habitat and subject to the shellfish habitat rules as such. 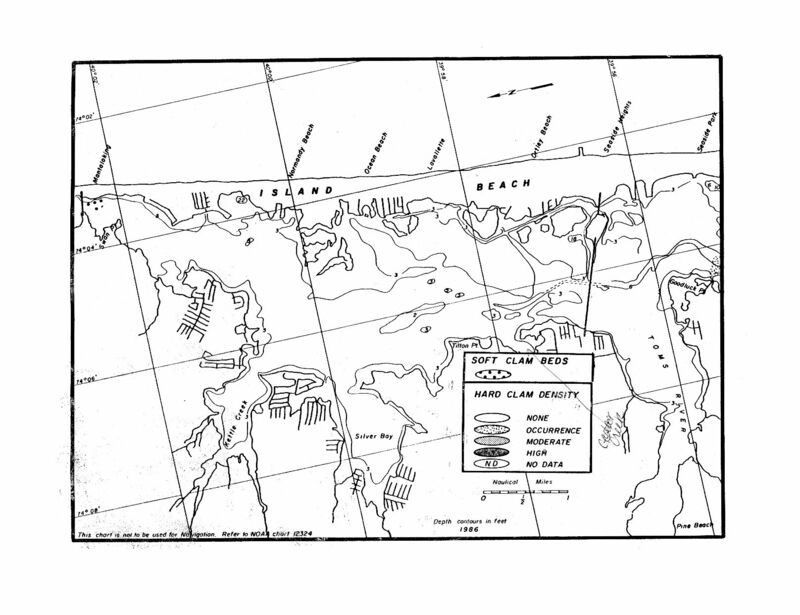 It should be noted that these maps do not include undocumented, regulated shellfish areas. 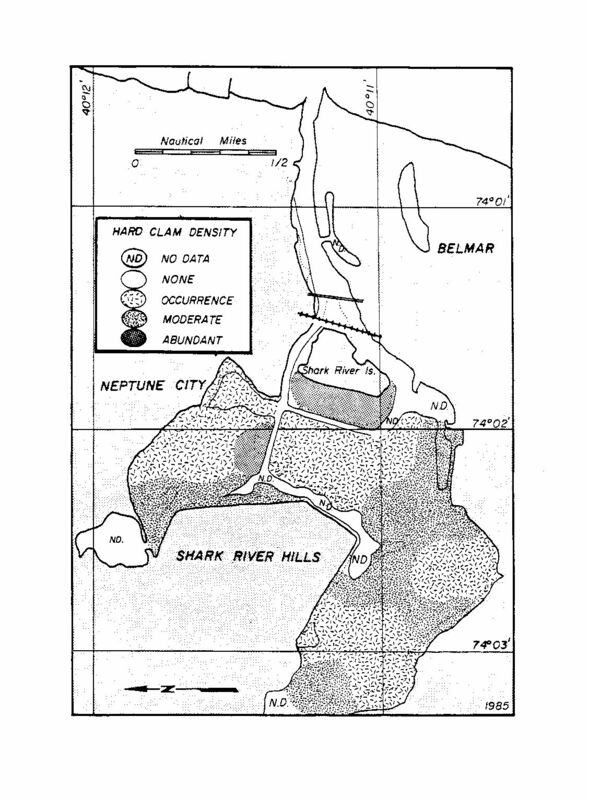 These areas, which are not depicted on these maps, are also regulated as Shellfish habitat by the Division of Land Use Regulation. 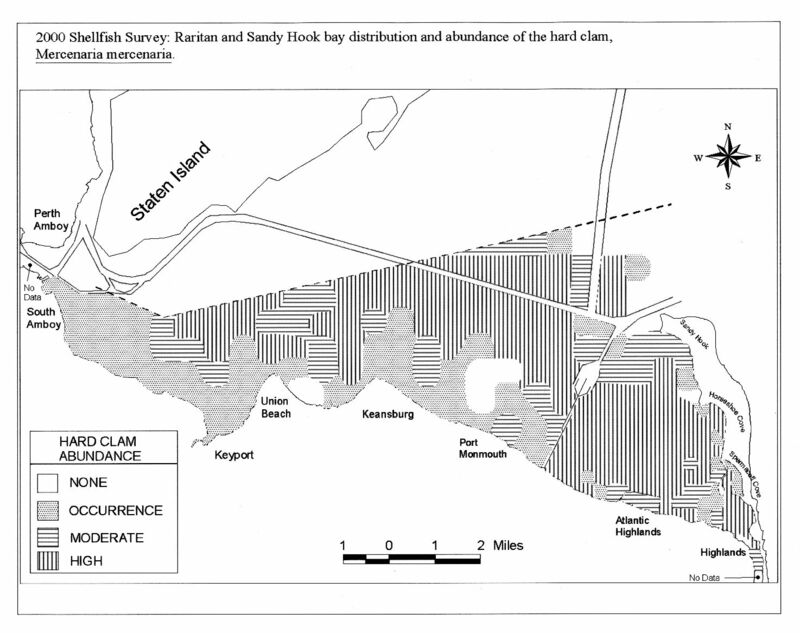 Conclusive evidence concerning the presence/absence of shellfish requires site inspections and habitat assessments. 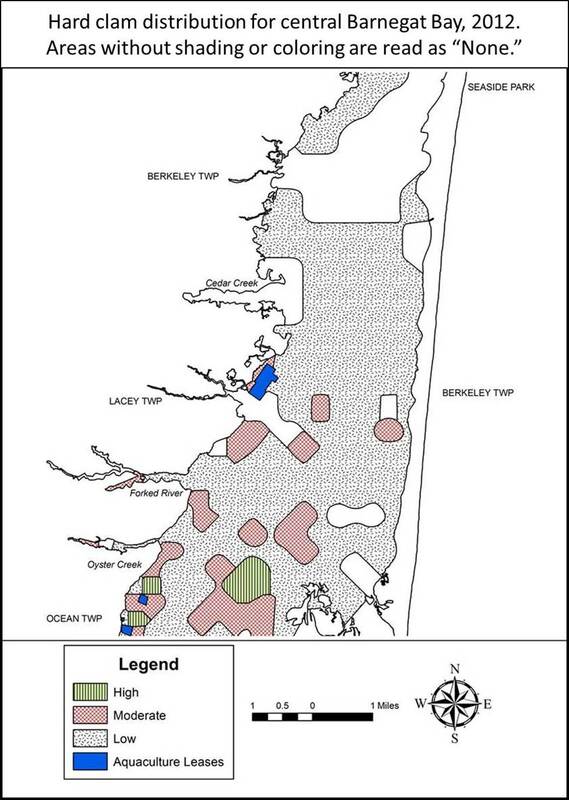 Therefore, these shellfish maps alone are not sufficient to determine the presence/absence of regulated shellfish habitat. 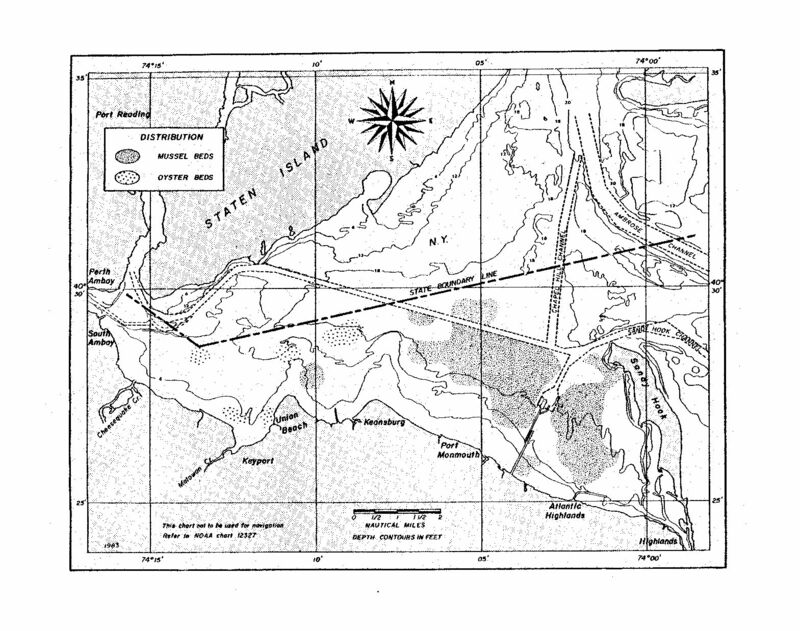 This is a compilation of data merely for informational purposes. 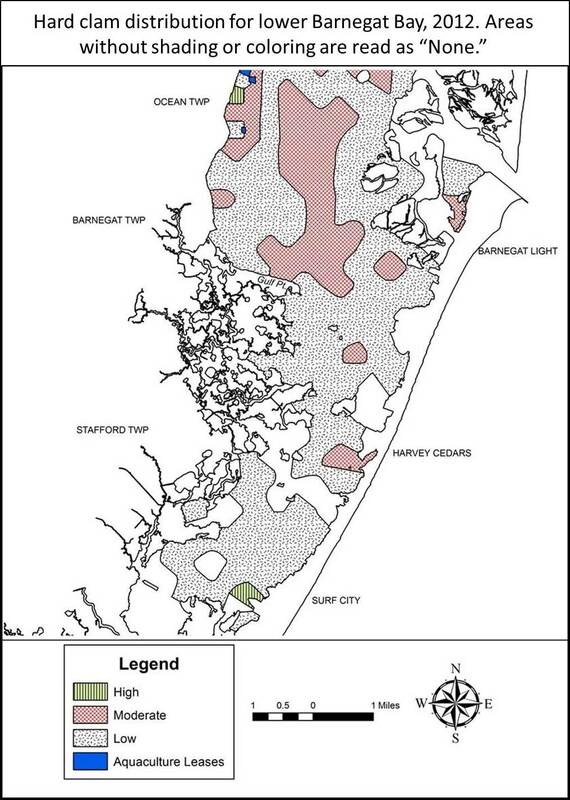 The NJDEP does not warrant or guarantee the quality or completeness of the content on this website. 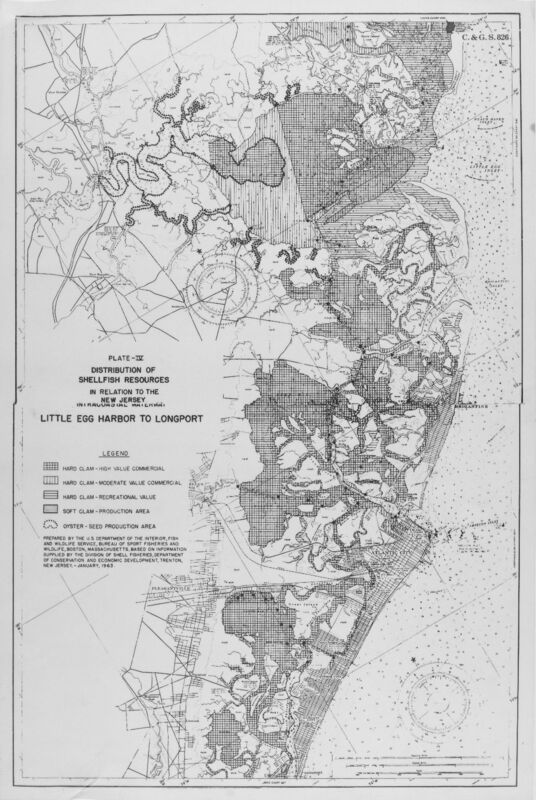 State of New Jersey shall not be held liable for improper or incorrect use of the data described and/or contained herein. 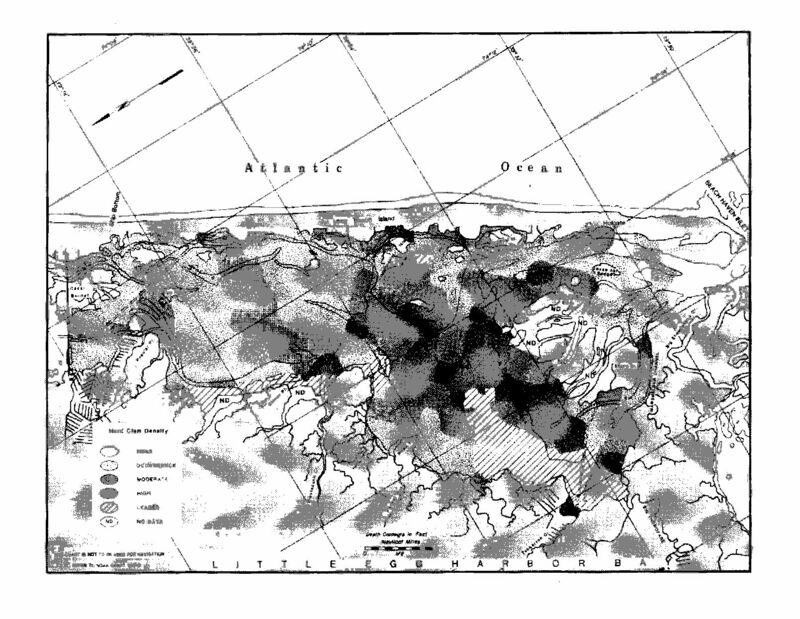 This disclaimer applies both to individual use of the data and aggregate use with other data.